I woke up this morning thinking about this long-neglected blog. But my blog isn't the only thing I've been neglecting in the past few months. I thought perhaps getting a post up here is a first step to the next phase of my relocation. I decided over a year ago now that I wanted to move to the small town where my partner lived and start fresh. This wasn't the easiest thing to tackle. I liked where I lived, where I worked, and my community. To make it happen, I needed to find a new job, sell my condo (which involved staging it as well) and wrap up a number of different projects and organizations I was involved in. I essentially wanted to tap the reset button on my life. I`ve lived a few places but never outside of the greater Toronto area. I now live in a town whose population is less than half the size of the high school I went to. Looking back on the whole year of projects to make this happen it doesn't seem that bad, but there were times in the thick of it when I definitely melted down. I was sick in November and again in December, and again during my actual move on New Year`s Eve. Being that I'm a person who rarely gets a cold, being sick so many times in quick succession told me it was time to slow down and settle in. As such, following the move, I've decidedly done very little, save starting my new job, and focussing on that, as well as settling into my new apartment and nesting (read: cooking and eating, watching Netflix). But now that February is wrapping up and it feels like Spring might actually come this year I think it's time to start to put together my plan of attack. 1. Blogging more often. I miss writing creatively. Plus, I went to Edmonton for work, and should write about that. Plus this weekend is a trip to eat sandwiches and see art in Montreal, so I will need to make notes on that too. 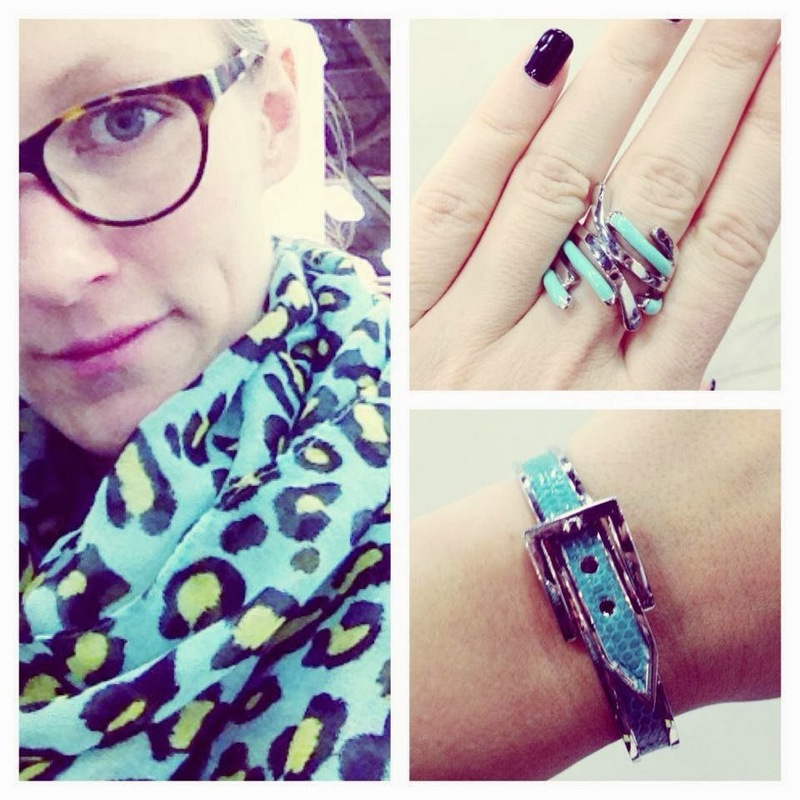 I'm working in the fashion industry now and I haven't blogged about fashion or trends in ages! Must do that too. In general, I want to pick up this habit again. 2. Going to Zumba. I need to get out of the house more, now that I'm working from home. Working from home also means no healthy walk to work in the morning. So, I'm going to try out zumba. I'll keep you posted on how the drinking of the zumba kool-aid goes for me. 3. Fermenting things. 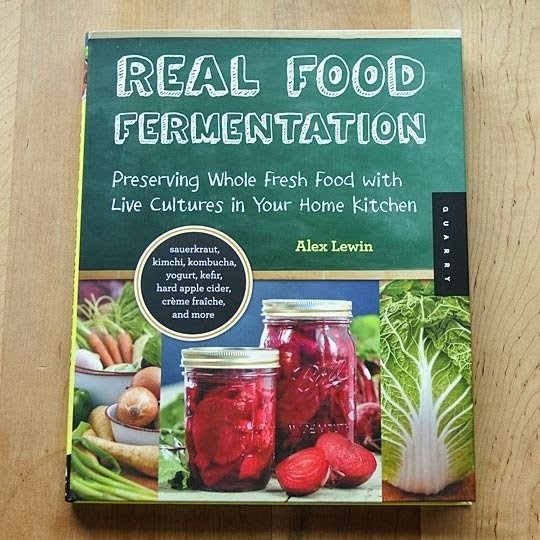 I got into the idea of fermenting right before xmas and asked for a book about it. I read the book cover to cover and I'm even more convinced that this is a good thing to know how to do. Further, it's a way to eat completely delicious savoury things and also contribute to my health. I started my first sauerkraut this week, and I want to get good enough to make my own yoghourt. 4. Making art. I've really let this part of my creative output slide over the last few years, oddly enough, especially during the time I worked at an art gallery. Short of Christmas gifts and a few assignments I gave myself I can't seem to finish a painting. I'd like to improve that. Not sure how. I've been thinking I might just need to start sketching more, but I include writing in this category. I have started and stopped many writing projects, and I'd like to try to see one through. 5. Community involvement. I know this is part of the satisfaction I have in life. I want to make some time to volunteer and get involved here, especially in the arts community. Some research is needed, and I'm sure opportunities will find me eventually. This is a longer-range to-do item. In the next town over there is an Independent grocery store, which to me is as good as any Loblaws in Southern Ontario...it even has a Joe Fresh section. This has become something of a favourite haunt of mine, because of course I`m loving cooking at the moment and also because it feels a bit more like home than any other place to purchase food here. Recently as a treat to myself I bought some grocery store sushi. This is something I`d occasionally do in Oshawa, and though it's not very good, it's passable for the most part and good in a pinch when I'm hungry and don't want to make two stops. While out at the Independent I decided to treat myself and picked up the special pack that isn't just california rolls, it's also the other style with the fresh raw salmon across the rice. This comes at extra cost but it always worth it as it is the best piece in the box. At Independent in this rural area though, it's not raw fish. 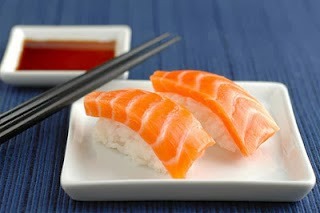 It's smoked salmon. Sushi lovers will surely understand the range of emotions....the sheer disappointment....followed by the harsh lesson learned. 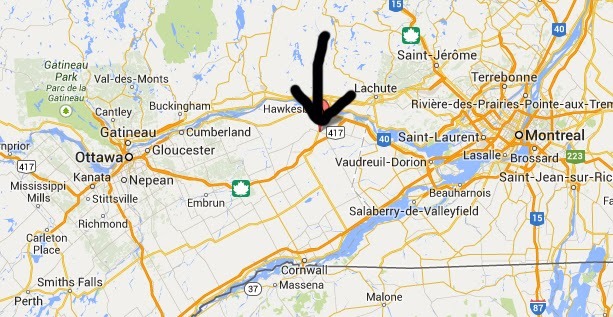 Next time I crave sushi, I'll have to drive to Montreal to get it.